سواءً كنت مسافراً بغرض السياحة أو العمل، Hillview House Bed and Breakfast هو خيار عظيم للإقامة خلال زيارتك للمدينة. يمكن من هنا للضيوف الاستمتاع بسهولة الوصول إلى كل ما تقدمه هذه المدينة النابضة بالحياة. يشكل هذا الفندق ملاذاَ مريحاً للاسترخاء ويمنح زواره فرصة للاستجمام والتجدد، وهو يقع على بعد خطوات من المعالم السياحية الكثيرة للمدينة. إن الخدمات التي يقدمها Hillview House Bed and Breakfast تضمن للنزلاء إقامة مريحة. إن واي فاي مجاني في جميع الغرف, تسجيل وصول/خروج سريع, صف السيارات, خدمة الغرف, جولات هي جزء فقط من الخدمات التي تميز Hillview House Bed and Breakfast عن باقي الفنادق في المدينة. استمتع بوسائل الراحة الراقية في الغرف أثناء إقامتك هنا. بعض الغرف تتضمن تلفزيون بشاشة مسطحة, سجاد, قهوة فورية مجانية, شاي مجاني, بطانية كهربائية لمساعدتك على استعادة طاقتك بعد يوم طويل. يمكنك الاستمتاع بالأجواء المريحة التي تقدمها حديقة طوال النهار. يحظى فندق Hillview House Bed and Breakfast بموقع ممتاز وخدمات يصعب منافستها. The property is old but it's clean and it's value for money. Stay for a day or two is fine. Limited parking space. They provide continental breakfast and there are cereals and biscuits in the apartment itself. We stayed at Hillview House Bed and Breakfast for two nights and enjoyed staying in such an old heritage listed building. Our room was fine, if not a little small but that is the nature of old buildings of the time, so no problem. The bed was comfortable. Breakfast is provided and offers a full continental breakfast which was of good quality. If you like history, and a break from the standard modern hotel, then try Hillview House Bed and Breakfast. Under the old cliche, "You get what you pay for" = this place is good value as it doesn't break the bank but gives you a warm, clean and fresh bed with the convenience of an ensuite. Jenny, the hostess, is warm and friendly and happy to chat and give advice. 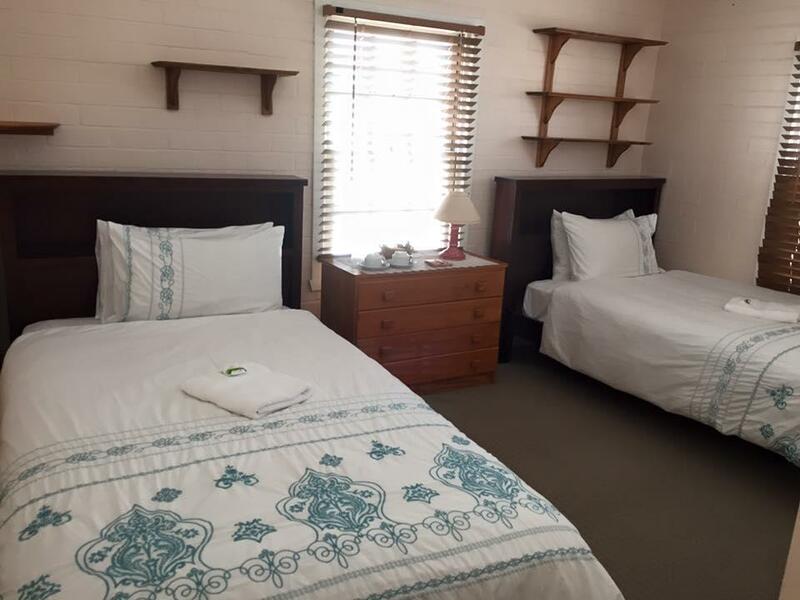 Very conveniently located to the CBD in walking distance to restaurants, princess theatre etc. If parking is an issue to you, get in early as their parking is only about 3 or 4 spaces but on the street is ok.
As we arrived later in the evening, we didnt see any staff however as we entered the door, there was a little table with an envelope of our name with the keys. Very shortly the staff joined us to lead us to our room. Beds were very comfortable. Our room was located close to the road so we would hear occasional chatter and car roars from the street however that didnt bother us at all. Continental breakfast was alright as well. We only stayed a night in Hillview B&B. The host Jenny was really nice. The room was very cleaned,warm and cosy.The breakfast was very good too, Jenny and her staff cooking the breakfast for us.we had the continental and scramble egg with bacon and toast.But unfortunately we only stayed one night, we will definitely go back to stay longer. This is definitely one of my favourite places to stay in Tasmania. The moment I was dropped off to the front door, I was already captured by the charming villa on the hill but it was not until getting in was I impressed by the extremely well-maintained and cosy interior. I was let to the room as soon as it ready instead of waiting until 2pm, which I am very appreciated because I arrive by a very early flight. The room is supposed to be a double room but I think it can be quite cramped for 2 Westerners since the double bed takes most of the space (super comfy bed by the way) - however, the place does have bigger rooms that I believe people with heavy luggage can still fit in. As a solo traveller, I found my room size is just right, suitable for a short stay for a couple of days. Ensuite bathroom and basic amenities are provided, simple but very neat and clean. There is also a heater for colder nights, but my visit is in Spring so the temperature is not that bad. The house is on a hill so you will have to walk uphill on the way back from the CBD - not a very difficult walk, about 10-15 minutes depending on your level of fitness but just consider that if you have mobility problems. In return, you are rewarded with the stunning view. Sitting at the verandah watching the sunset is probably one of the best things during my stay here. The managers, Sonam and Oosha are definitely the definition of exceptional hospitality. They went above and beyond to make my stay comfortable, the lady even prepared my breakfast the night before to pack to go on an early day tour. It is a very thin line between making you feel good and feel uneasy of over-caring, and these amazing people have mastered the art of hospitality. I feel welcomed and being taken care of, but still have enough privacy for myself. Highly recommended! 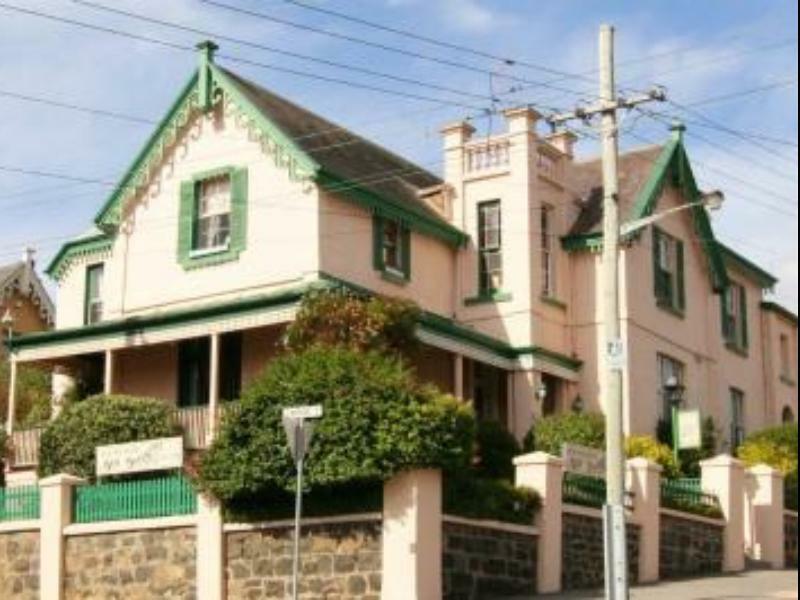 Hillview House is located at the hilly side of the city with an expectacular view of Launceston City. It's a short stroll to the city centre, restaurants, and bars. Service is excellent. The owners even remember first names of the guests. Breakfast is also provided. Definitely, I would love to stay at Hillview House again. We had a pleasant stay. I highly recommend it. It's a good value for money. This accomodation is really great. Central location, close to cbd, good bars and restaurants. The room was cleaned daily and toiletries replaced. Breakfast provided is sufficient and the dinning room has a great view! Staff are friendly and helpful while giving you space. A lovely place to stay! Stayed 5 nights using it as a base for day trips around Launceston. 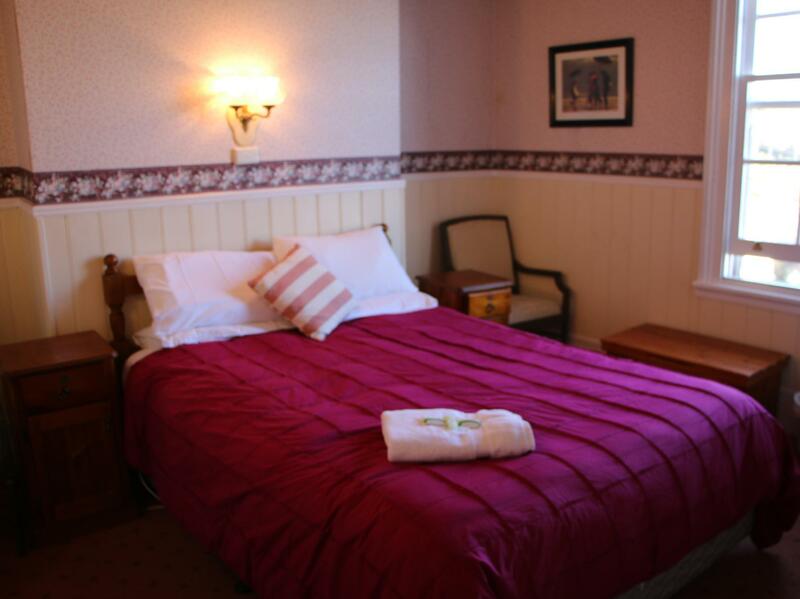 The twin room was comfortable with ensuite, fridge, tea/coffee facilities and TV. The decor is traditional and worn with time. You could hear footsteps from the room above, and smokers unfortunately congregated near the front door which was adjacent to Room 3, the room in which I was staying. The breakfast was ample and beautifully presented in a small and cosy dining room. You could not access this space until 8:00am which I considered to be too late given that it was advertised at 7:30am. The house is a short stroll to town but upon your return you will need to work your thigh muscles if walking back. There is a good assortment of restaurants close by. I enjoyed the Indian delights of Cinnamon, and the contemporary fixtures and wood fired pizza at Metz. The host was most helpful when seeking advice informational about the Harvest markets held every Saturday near the City Park. Be sure to have breakfast at the markets if you visit them. Overall a very comfortable stay. Beautiful old Historic home that has been converted to a comfortable B&B. 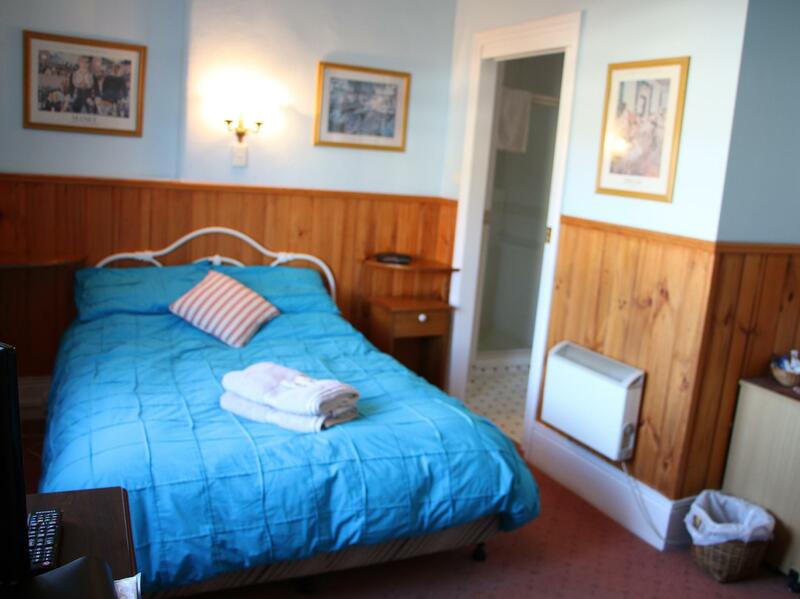 It has all you need for a comfortable stay & is an easy 10 minute walk to the centre of Launceston. Breakfast is more than adequate to sustain you through the day. My friends and I thoroughly enjoyed the stay. The cooked breakfast was substantial. The room we were given was spacious and had a great view of the houses on the hill. We could see the lights from our window. The cleanliness of the room was greatly appreciated by us. Ia couple of things that could be improved include the door to our room and the two seats in the room. The first concerns the noise the door created every time we needed to lock it before going out and the second requires the upholstery of the two chairs. 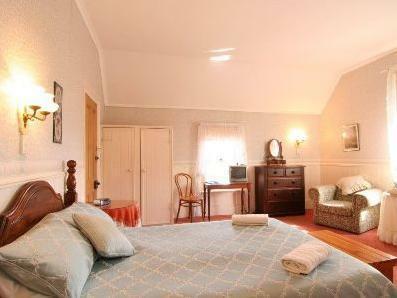 Overall, it was a comfortable stay, and we appreciated the host's friendliness and the homely atmosphere of the B&B. Jackie was amazing! Comfy beds and a lovely brekky. No staff on arrival at 1400. We had to wait for 15 minutes until they came to open up. The house was very cold, two guests wore their coats in the dining room to keep warm. No hot water in room until approx 0830 and then it was spasmodic. No apology for this. A pleasant young couple but out of their depth. Chose this hotel because there's not much choice. Property converted into bnb. The room allocated is on the main road and is very noisy because of the elevated slope up the hill. Great hotel. Friendly staff. Fantastic breakfast included in cheap price. We stayed there for 2 nights and didn't sleep well. The curtains don't block out sunlight at all and we were like forced to woke up 5am every morning whenever the sun came out. And the windows don't block out any noise even when they're closed. Our windows face the CBD and was right beside a junction. The clock tower hourly chime and traffic noise were clearly audible throughout the night. What's even more unbearable was the noise from below junction traffic whenever vehicle change gear to climb up hill. To be fair the young lady attended us was very friendly. Breakfast was alright with basic bread and cereals. But for God's sake allow one more person to help out that poor young lady in breakfast preparation! She was running in and out yet the fruits and breads were like immediately cleared off as there were too many guests taking breakfast in the morning. Not to mention the small dining place. So limited that we were actually lucky enough to be able to share a table with the other couple. There were others waiting outside the dining area for seats for like 10-15 min. I'll not recommend this accommodation to any of my friends. The antique feel was okay but it requires serious make over including a proper window and curtain consider this is after all a place for people to sleep and rest. Classic outlook but well maintained inside. Friend staff but only 1 staff station at reception make check in slow. Funny design in bathroom - hot water and cool water tab are separated, which mean you can either choose hot water or cold water at one time. 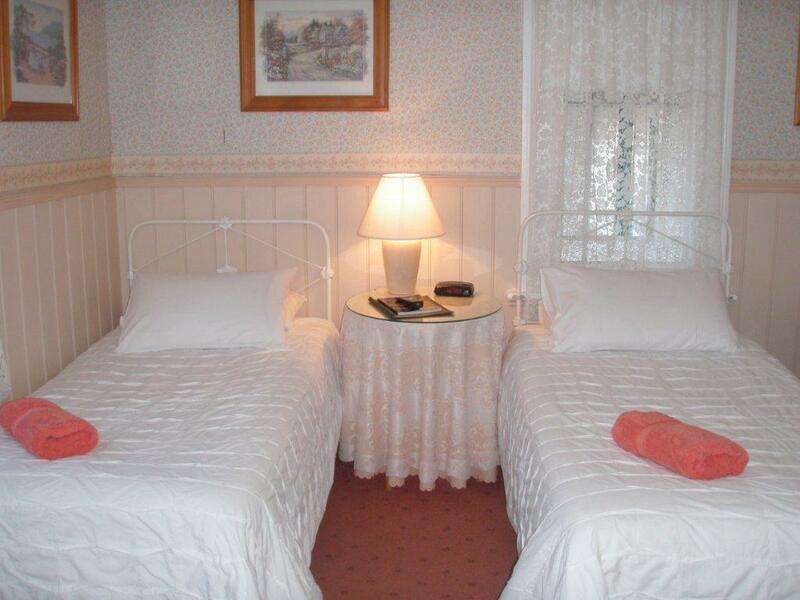 Hotel location are close to town and nearby for dining places. Overall still nice to stay. Mattress was hard and uncomfortable. Pillows were flat and ineffective. Same breakfast 3 mornings in a row. No shampoo or conditioner supplied. Great views to City. Good heating. Privacy given by owners. My stay at Hillview House was pleasant. The room was comfortable although the pillows were terrible. The location is very good; on George St so it's quite close to all the attractions and restaurants/pubs. Breakfast was average but the host was very nice, willing to attend to my needs.